7 Foods that Trigger Inflammation and What to Choose Instead! Inflammation can force your body to hold on to excess weight longer than it should. Weight loss often happens more effortlessly when the foods you eat are “inflammation friendly”, meaning they support healing rather than causing your body to go into defense mode. Clean Eating is a whole-foods approach to living without dieting. You’re crowding out the “bad stuff” with more “good stuff” so you never feel deprived, and still get to enjoy food without the negative consequences. When you adopt a Clean Eating diet, your inflammation levels lessen and your energy levels rise. That energy can then be dedicated towards your family, prepping healthier meals and even getting a workout in! If you frequently feel tired, crave sugar, wake up with a puffy face, get swollen hands or feet, experience yo-yo weight gain/loss or have a hard time finding the energy to exercise; it’s very likely you’re dealing with inflammation. Below are 7 foods to watch out for, and what you can choose instead. 1. 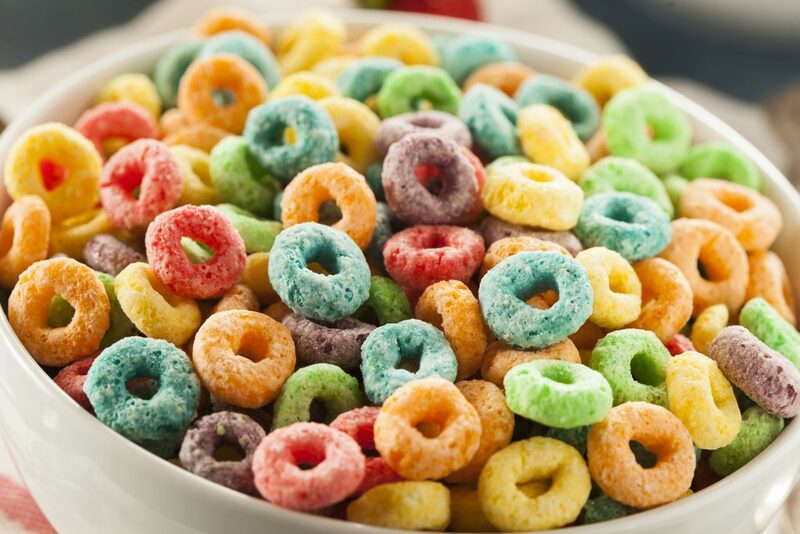 Sugar: It’s hiding in cereal, baked goods, crackers (even the gluten-free ones), chips, ketchup, sauces and well, let’s face it – it’s in everything! Packaged foods are notoriously laced with sugars so you’ll want to get in the habit of quickly checking the labels whenever you’re shopping. Alternative: Go for whole foods wherever possible! Fresh whole fruits, fats from avocado, nuts, seeds, oily fish and grass-fed meats and if you’re looking for a sweetener try this list of healthy sweetener options. 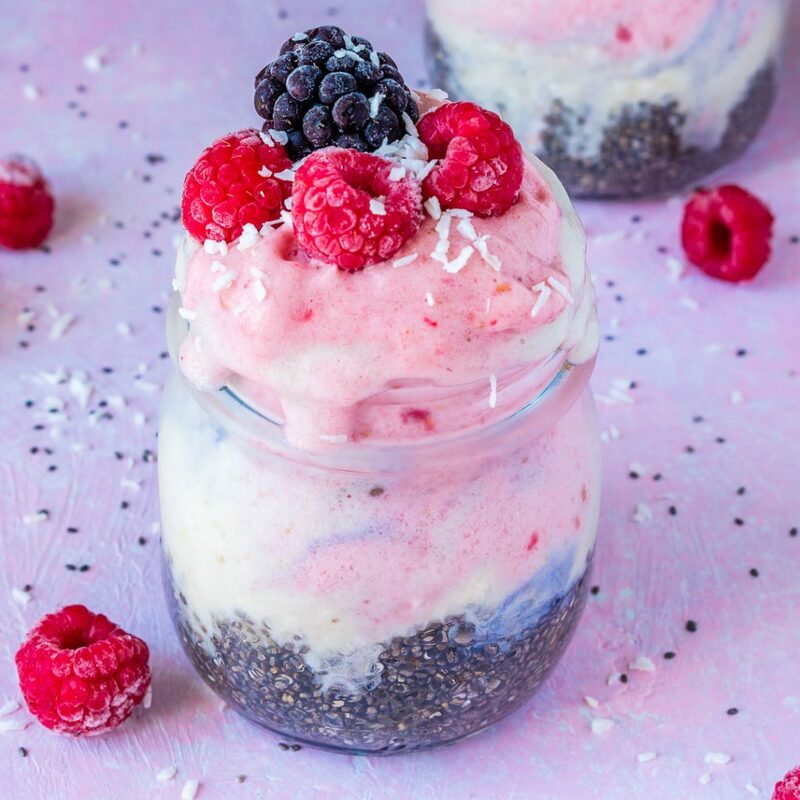 AND You’ve GOTTA try this Unicorn Coconut Breakfast – it’s healthy, sweet and free of all the processed sugars. Clean Eating can be super fun 🙂 There are endless options to choose from, so browse around at the recipes on this site for more fun ways to enjoy treats without the guilt. 2. 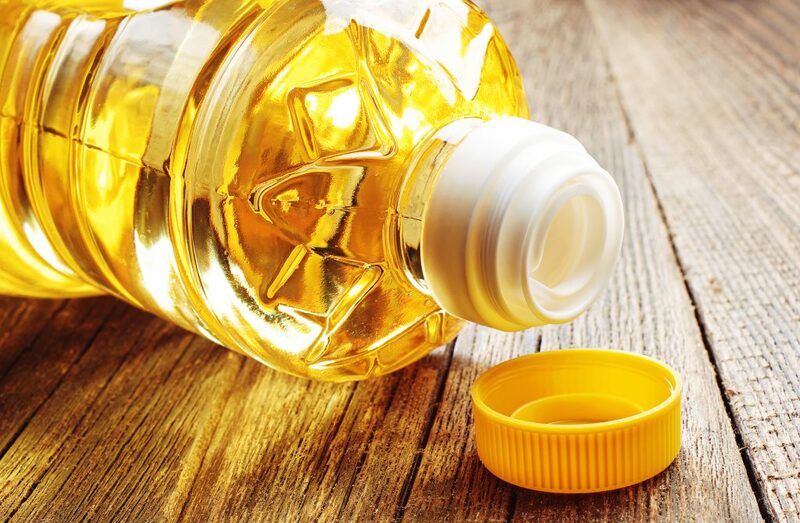 Refined Vegetable Oils: Bad fats wreak havoc on your entire system and create inflammation in the body. While your body is constantly inflamed it is in a state of stress. To shift from a state of stress to healing, you need to remove the bad fats and go for the good ones. 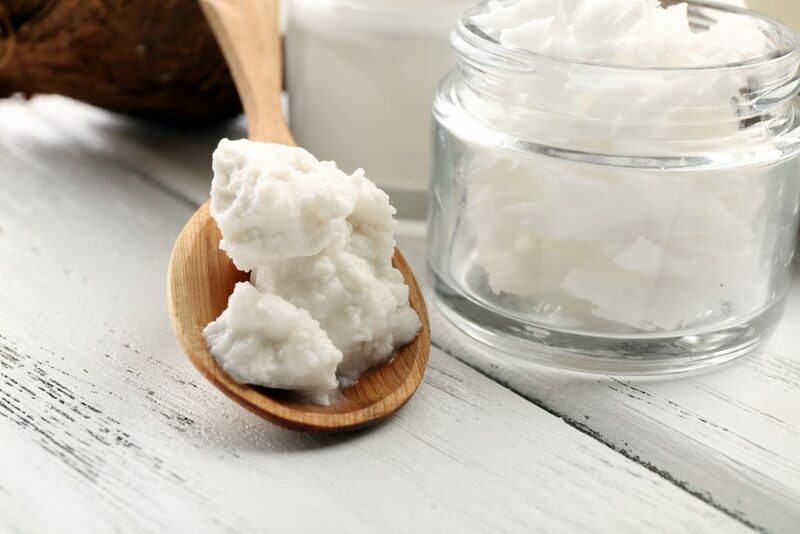 Alternative: Organic olive oil, avocado oil, coconut oil, butter and ghee are all excellent options for healthy oils. If you’re using high-heat, avocado oil, coconut oil, butter and ghee have the highest smoke points, while olive oil should be used at very low temperatures or raw. 3. 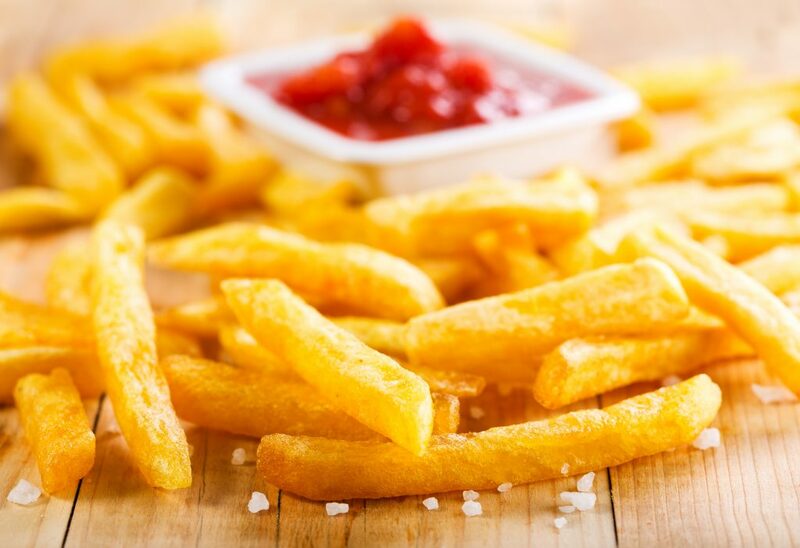 Fried Foods: Tempura, french fries, chips and other fried foods lead to inflammation and an increased risk of diabetes amongst other nutrition related diseases. They can also really mess with the hormones in your body that tell you when you’re full, leading to over-eating. But the good news is, I have even BETTER options for you – promise! Alternative: There are so many healthier way to enjoy the foods you love! 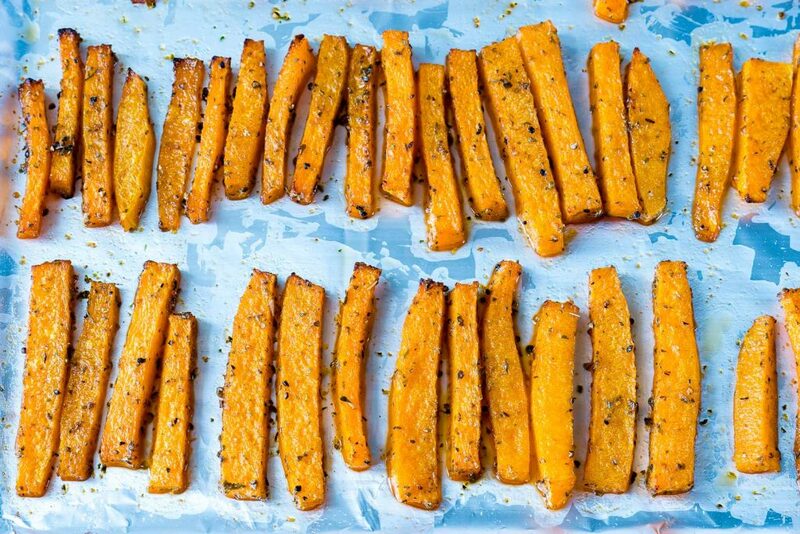 Try these homemade butternut squash baked fries or potatoes, healthy baked chicken nuggets, or this sheet pan jerk chicken with baked fries. 4. 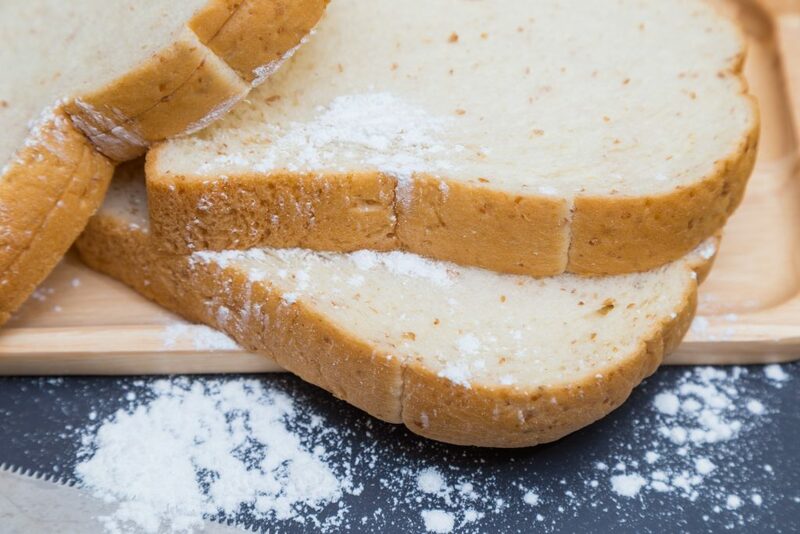 Gluten / Wheat: Breads, pasta, seasonings in packaged foods often contain wheat or gluten. “If you eliminate wheat from your diet, you’re no longer hungry between meals because you’ve cut out the appetite stimulant, and consequently you lose weight very quickly. I’ve seen this with thousands of patients.” – William Davis, Author of Wheat Belly. Here is a personal story from a woman named Amanda who lost weight and reduced her inflammation with Clean Eating. 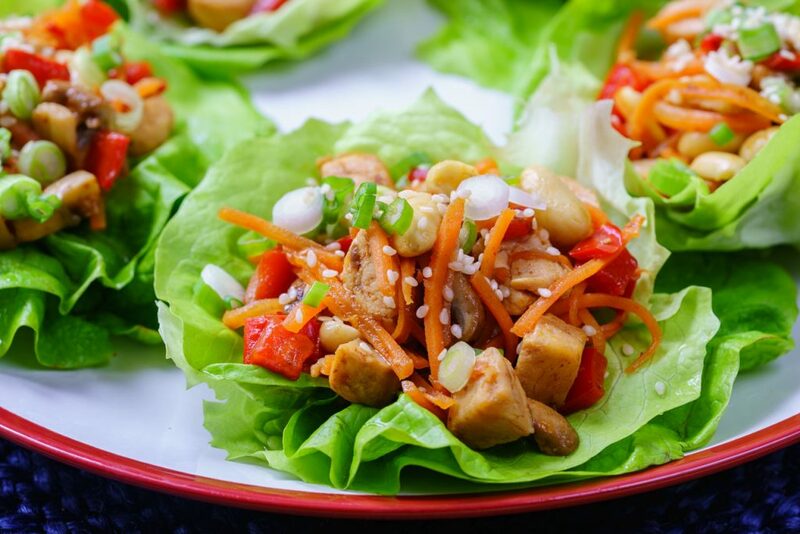 Alternative: Lettuce wraps make a great substitute for corn or wheat wraps that lead to inflammation and weight gain – especially when you’re on the challenge, recipes like these Teriyaki Chicken Lettuce Wraps make a super fun meal! Zucchini noodles, quinoa, beans and other gluten-free grains are excellent choices. 5. 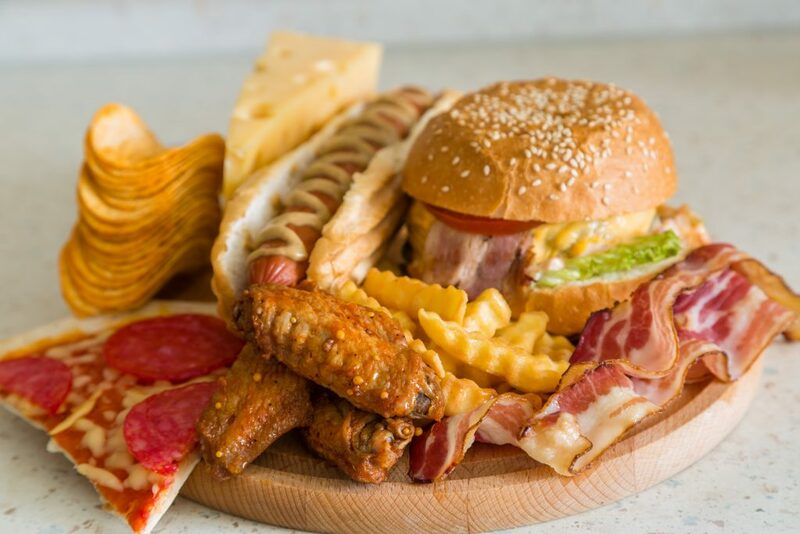 Fast Food: We all know it, fast food is just plain bad for your health. But it’s addictive in nature and when we find ourselves in a bind, it can be too easy to give in. That’s part of the reason the 30 Day clean Eating Challenge was designed in the first place – to offer a “weight loss rescue plan” and help people finally break those patterns. It’s hard, I get it! Alternative: My FAST homemade dinners & skillets are a quick and easy solution to busy nights. 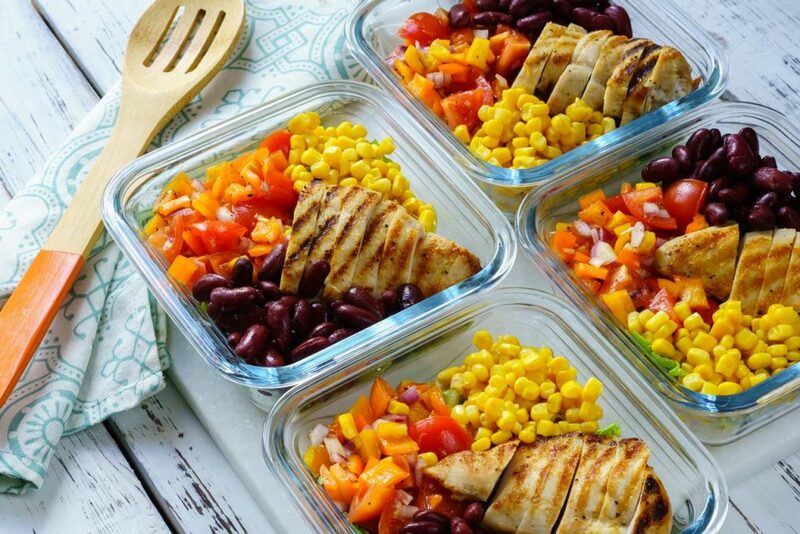 I also LOVE meal prepping, it seriously saves my life. Try out these Deconstructed Chicken Burrito Bowls for meal prep and tell me that wasn’t the best idea ever!? 6. 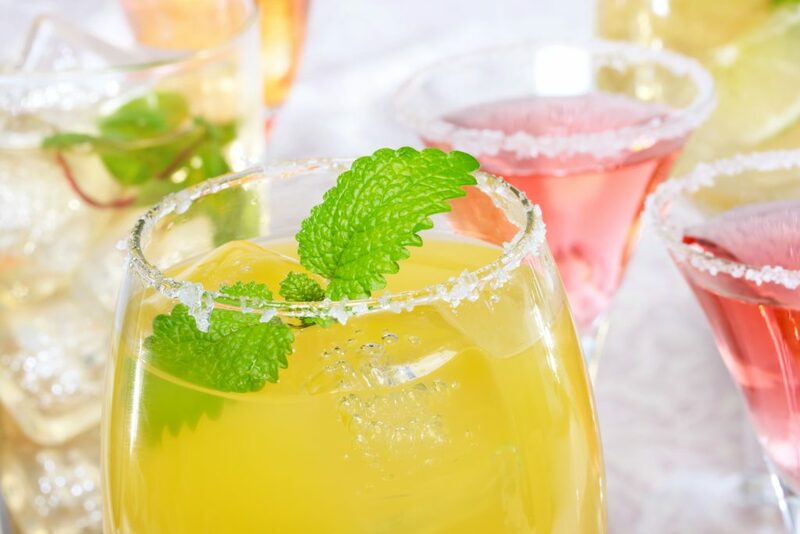 Alcohol: A lot of alcoholic drinks contain crazy amounts of sugar, and drinking even once or twice per weekend can impact weight gain and inflammation in the body. If you’re on a mission to eat clean and shed weight, switching up your intake can make a huge difference. 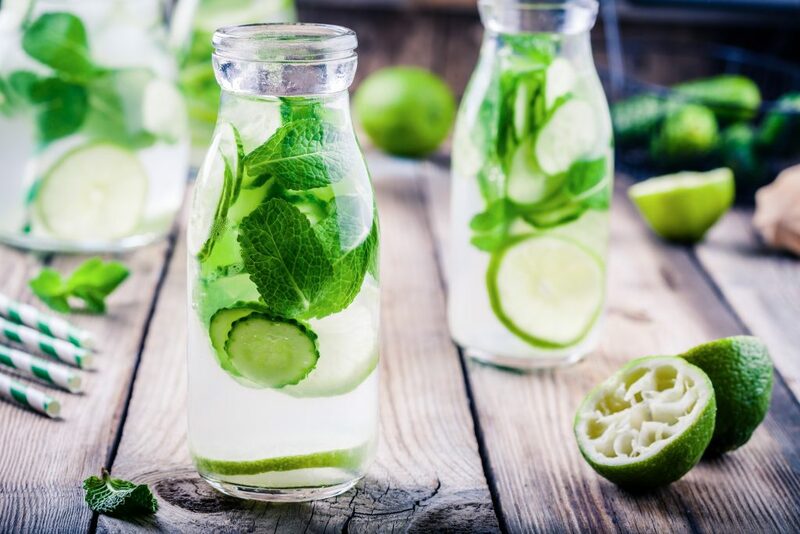 During the 30 Day Clean Eating Challenge, it’s recommended to avoid alcohol and go for water or sparkling-water with lime instead to give your body time to release weight without adding more inflammation. Alternative: Water helps you gently release weight while hydrating your body and bringing inflammation down. If you’re craving bubbles, try having sparkling-water with a big squeeze of fresh lime or lemon, or drink kombucha in moderation. 7. 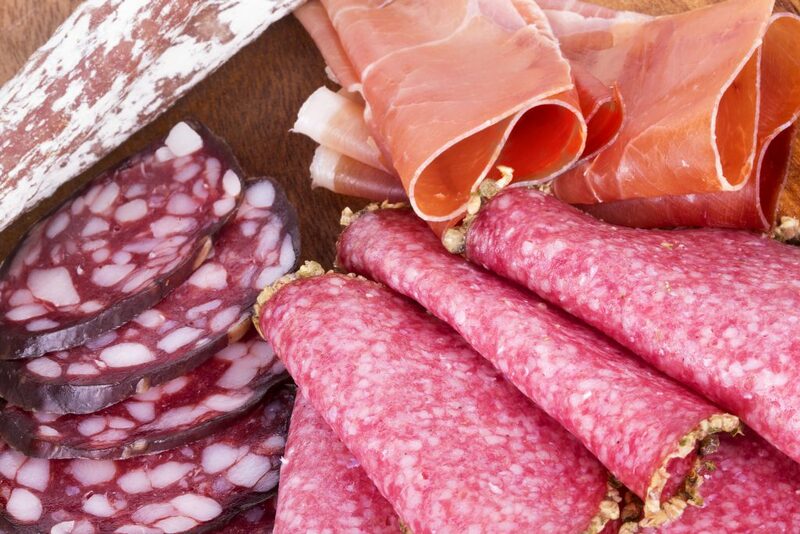 Processed Meats: with nitrates and other additives, processed meats aren’t healthy source of protein or nutrients but can cause an awful lot of inflammation in the body. Some people even have sensitivities to nitrates that cause headaches and don’t realize the source of their problem. Alternative: You can still enjoy meats, just with a healthier spin. It’s easy to make homemade shredded chicken, turkey or tuna for sandwiches & wraps on the go, or choose nitrate-free and organic meats (you can find sausage and deli-meat that’s uncured) like I do in my creative picnic platters. Just imagine how good you’ll feel when you give your body the right foods to shift from a state of inflammation to a state of shedding weight and feeling energized!? Do you feel like you need more support? We’ve mapped out a full 30 Days of Clean Eating in the 30 Day Clean Eating Challenge, equipped with recipes + meal plans + a supportive community to encourage you and keep you on track.